You tell everyone that soil isn’t dirty … and you really believe it. Whether you’re at the grocery store, the hardware store, a flea market or even on the beach or in a forest, you always find products or items you can use in your garden. You spend more on gardening than on clothes. You read a plant or seed catalog like other people read a novel. You always have dirt under your fingernails that nothing can make disappear. You better understand Latin names than the language of your teenagers. You proudly show your compost pile to visitors. You have a visceral hatred for slugs that nothing can satisfy. There are always pruning shears, a shovel and plastic bags in the trunk of your car … just in case. When traveling, public gardens attract you more than museums and churches. A good garden center is your idea of paradise. You see December 22 is one of the best days of the year, as that’s when day start to lengthen. You keep adding new tools to your collection … even as you keep on using the same old tools you have for decades. You shovel snow not to clear your driveway, but to cover delicate plants. You hesitate to leave your garden for long periods: after all, who will water when you’re not there? You buy plants without having the slightest idea where you’ll plant them. You have more pictures of your plants than your grandchildren. Pots of plants awaiting planting tend accumulate in your driveway. You find gardening more relaxing than a hot bath. You see plants that are stressed from afar and long before anyone else notices there is something wrong. You are seriously thinking about converting the walls and roof of your home into a garden, as you’ve run out of space for your hobby. 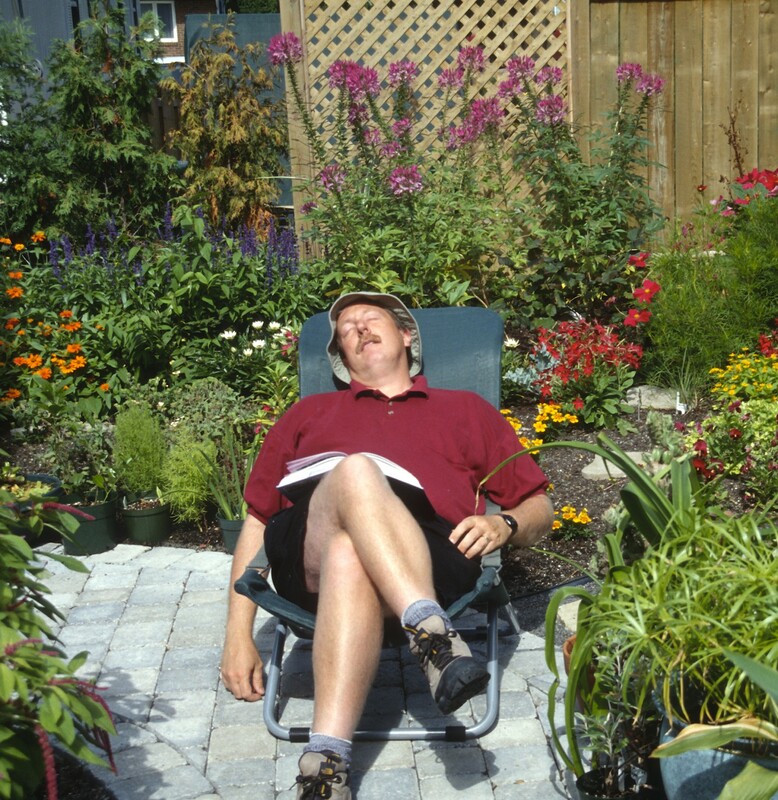 You are obsessed with weather reports and their influence on your garden. You pamper your sick plants terribly, even when everyone tells you it’s obvious it’s better to get rid of them. You tend to garden on pieces of land that do not belong to you. There are more pots of seeds and bulbs in the fridge than food. You have trouble talking to non-gardeners, because you honestly feel they have nothing interesting to say. You get excited by the slightest change in your garden: the first spring crocus, a seed that has sprouted, a plant that blooms for the first time, etc. You let self-sown plants grow, even if you suspect they might be weeds. After all, they may turn out to be something extraordinary and rare! You always give plants to friends and family members in the hope of stimulating in them a passion for gardening. You are seriously considering giving up your career to start your own plant nursery. You hide your plant purchases from your significant other. You spend an insane amount of time just watching your gardens grow. You think compost smells better than the most expensive perfume. You find yourself surreptitiously pulling weeds when you visit other people’s garden. You sincerely believe that where there is green life, there is hope. You have more than 25 varieties of hostas … and plan to buy more. For you, weeding is the ultimate relaxation. You buy more beer to fill your slug traps than to pour down your own throat. When looking for a home, it’s potential for gardening takes precedence over the qualities of the house itself. The back seat of your car is so stained with soil from all the plants you’ve placed there over the years that it’s no longer worth trying to clean it. Fortunately, being obsessed with gardening does no harm to anyone and does a heap of good to the person thus obsessed. Just learn to enjoy your follies and foibles! You are definitely “ on” to me! You know that your obsessed with gardening, when you write a different blog post daily about the subject!